We all want more peace during the day. A caregiver's responsibilities come with a great deal of stress and as a result, it is important to find an outlet for decompression and relaxation. Could meditation be the answer for you? 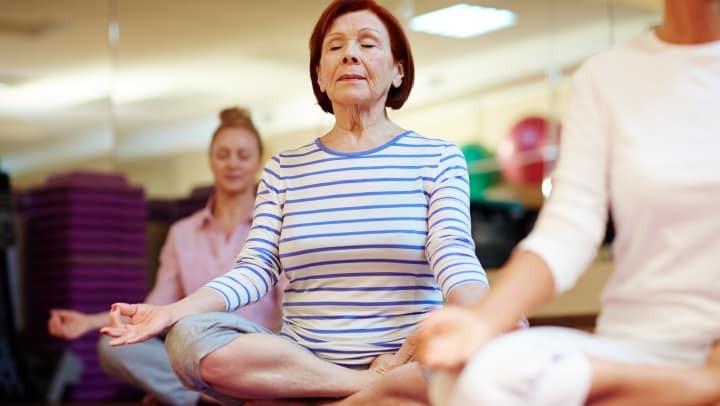 Care 2 offers some health benefits that caregivers could discover if they try meditation. 1. Slows heart rate. Care 2's article explains that relaxation exercises, such as meditation, can help you reduce stress by lowering your heart rate. This will bring a sense of calm to your body and can help you with breath control. 2. Brain health. Meditation has also proven to physically alter your brain and the way you think. It changes the neurological pathways in the brain and strengthens neurons that play a key role in stress management. 3. Pelvic strength. Meditation can actually improve pelvic strength due to its unique breathing processes. The focus on intake and outtake of breath will help your diaphragm contract, thereby working out muscles. 4. Lower blood pressure. As you could imagine, a de-stressing exercise can help people with high blood pressure. Stress affects the whole body, but meditation could help in surprising ways. You may be a skeptic of meditation, but there are plenty of scientific studies that point to its many health benefits.